Since 1968 the Athletics have called Oakland their home, playing over five decades at the Oakland Coliseum. The economics of baseball have changed drastically over the past two decades and the Athletics are the last franchise to share a stadium with a NFL team, the Oakland Raiders. For over a decade the A’s have sought to build a new ballpark in multiple locations throughout the Oakland metropolitan area. The Athletics announced plans to build a 34,000 ballpark to be known as Cisco Field in November 2006 in Fremont, CA. This plan derailed after several years of opposition from citizens and businesses. The team has also sought to build a ballpark in San Jose, CA. However, due to the San Francisco Giants territorial rights, the A’s are blocked from building a stadium here. In recent years the club has looked at options around Oakland including Howards Terminal and the location of the coliseum. In November 2018 the Athletics announced plans for a new ballpark along the waterfront at Howard Terminal. 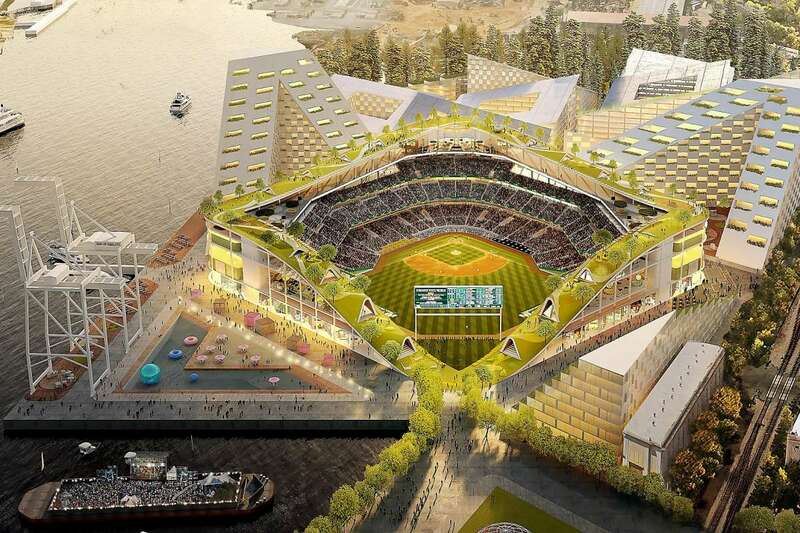 Privately funded, the ballpark would be the smallest in baseball, seating around 34,000 fans and feature a roof deck. If constructed it would be blended into a newly developed neighborhood surrounding the park. Outside the ballpark, an elevated tree lined promenade frames the structure on all sides. Inside the majority of seating would be clustered around the diamond with some seating located in the outfield. 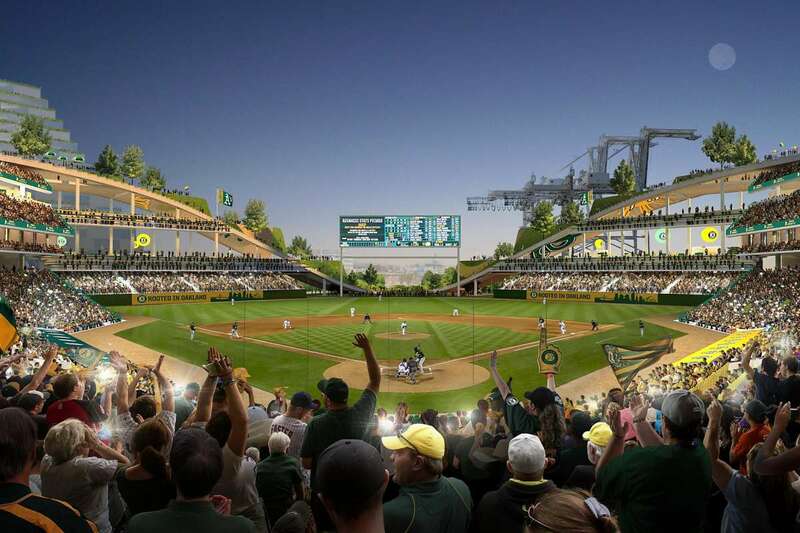 The A’s would like to begin construction in 2020 and open the ballpark in 2023.